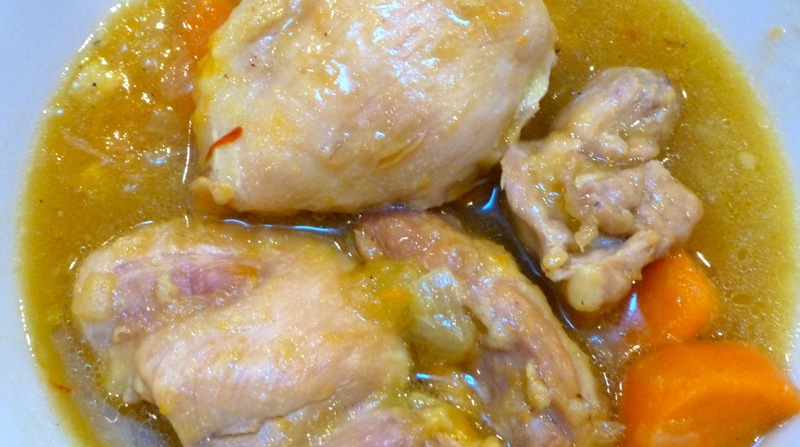 This Moroccan Chicken Stew has one of my favorite vegetables. Can you guess what it is? Sweet potatoes! So, it’s no wonder that this stew is one of my favorites. The chicken in the picture looks a little underdone, doesn’t it? But in reality, it was quite tender and was cooked all the way through. The ingredients include cinnamon and ginger which makes it quite tasty. We haven’t started eating rice yet so we have to get creative with the entrees we have that are “juicy.” To accompany this stew, we decided to have a Moroccan Zucchini, Grape and Bell Pepper Salad in keeping with the Moroccan theme. But if you’re a zucchini love, this salad would be really good for you.